European channel, that promotes programming in the areas of culture and the arts. It is based on three separate companies: the Strasbourg-based European Economic Interest Grouping Arte GEIE plus two member companies acting as editorial and programme production centres, Arte France in Paris (France) and Arte Deutschland in Baden-Baden (Germany). 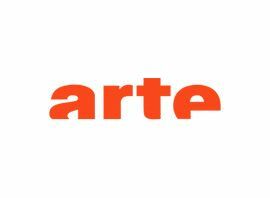 Arte began transmission in 1992, filling frequencies left unused by the demise of La Cinq, the first French commercial television network (created in 1986). The opening night on 30 May 1992 was broadcast live from the Strasbourg Opera House. The Australian Special Broadcasting Service translates many Arte programs into English for broadcast on its own television network and overseas. Many French-language Arte programs are also broadcast in Canada on the Ici ARTV cable channel, partly owned by the Canadian Broadcasting Corporation (85%) and Arte itself (15%). ARTE offers programmes on all sorts of screens that are free and without advertising. The new media formats complement the on-air programming. ARTE+7: With the catch-up service, viewers can see programmes free of charge within seven days after first broadcast on the channel. ARTE Future: Platform that joins viewers and online users with experts and takes a closer look at tomorrow´s world. Documentaries and fictions fuel the debate on social problems covering ecology, the economy and technology. ARTE Creative: Network, Magazine and laboratory for contemporary culture and creativity in all its forms. ARTE Concert (formerly Arte Live Web): All the performing arts live, exclusive interviews, behind-the-scenes and backstage tours, etc.